How do we experience music? How does body movement guide our cognition? How can knowledge about movement and sound create better technologies? These are questions that interest FourMs, an interdisciplinary research group. FourMs is a collaborative laboratory shared between research groups from the Department of Informatics and the Department of Musicology at the University of Oslo. This collaborative research focuses on music cognition, sensor technologies and machine learning. The common denominator is the mutual interest of studying both humans and machines as complex systems, and to analyze and synthesise them. The researchers in the FourMs lab uses the Qualisys system in various ways. 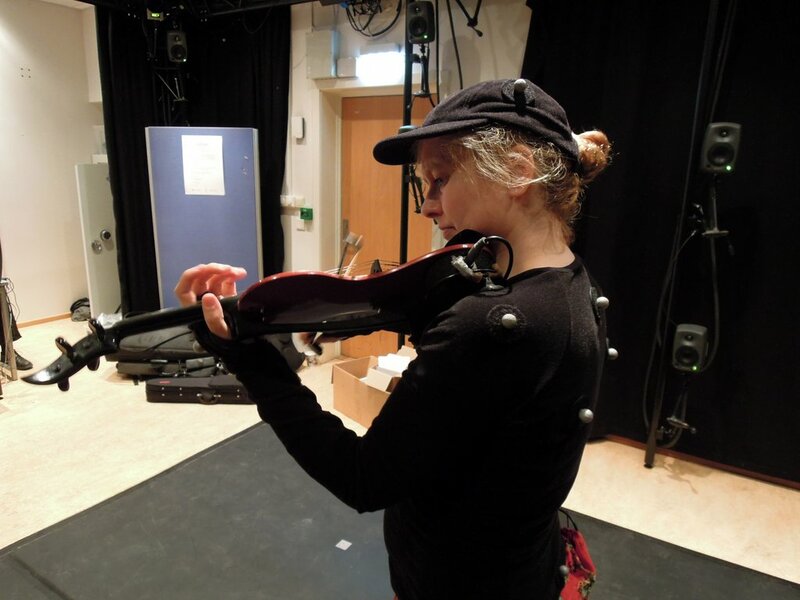 The system is used to capture the movements of performing musicians which gives valuable information on how musicians need to move to be able to create certain sounds. By analysing how people move to music – both professional and novice dancers – the researchers can investigate how music is perceived by humans. The system is used to analyse the movements of performing musicians which gives valuable information on how musicians need to move to be able to create certain sounds. It is useful to obtain general knowledge about musicians’ movements, and when it comes to preventing injuries due to poor playing technique. Alexander Refsum Jensenius, Post.doc at Department of musicology. The Qualisys system is also used to develop new controllers for musical interaction. In real-time, the system tracks hand-held devices and full body movements. The motion data is sent in real-time via a protocol called Open Sound Control to the audio and video software used by FourMs. Synchronization is made through a MOTU time piece allowing synchronous playback of analog, motion, video, and audio data.